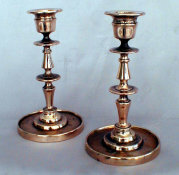 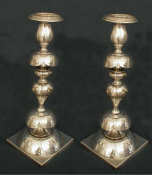 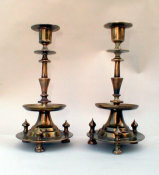 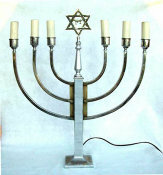 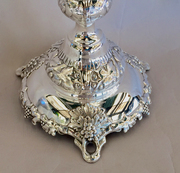 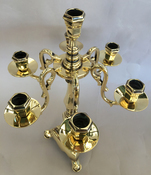 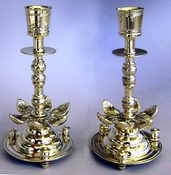 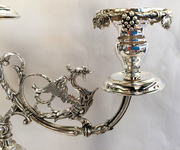 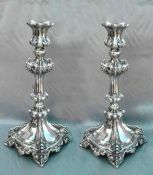 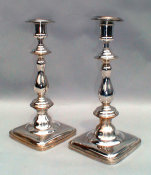 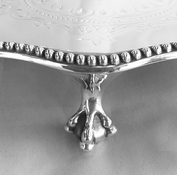 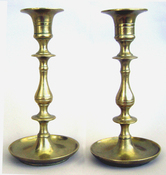 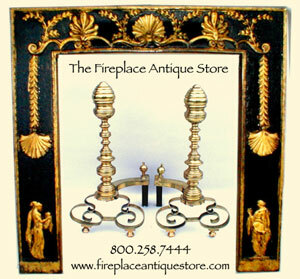 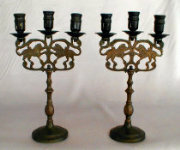 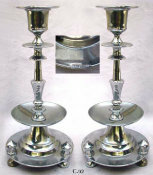 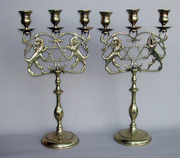 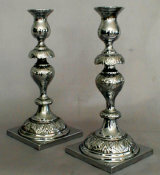 Beautiful silver plated Polish "Grapevine" candlesticks. 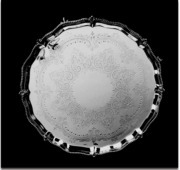 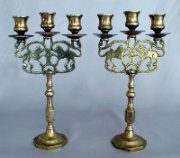 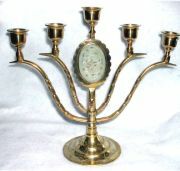 Late 19th Century, marked "M", ht: 12". 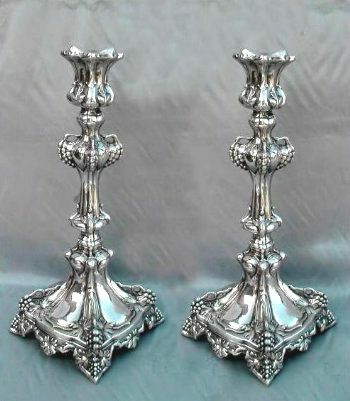 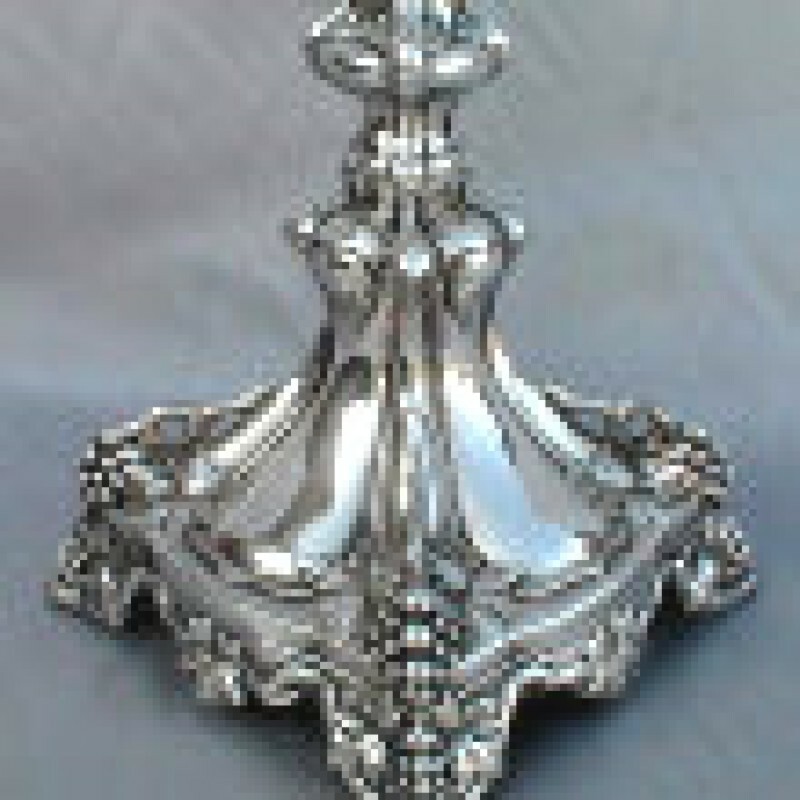 Highly embossed, die struck and fabricated with shaped stem rising from squared footed base with abundant grape clusters and acanthus leaf detail on corners in high relief. 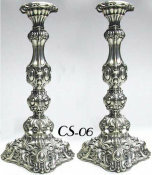 Lavishly detailed with grape leaf and twig motif throughout. 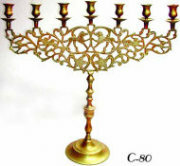 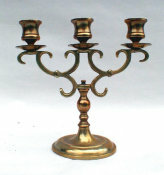 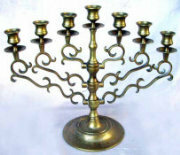 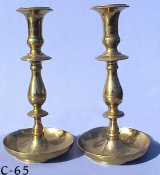 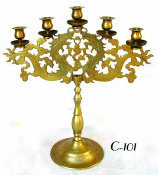 The candleholder is of petal form.